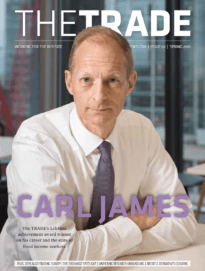 Experts from across the world of research, technology and trading sectors give us their predictions on what will happen in 2018, first up we look at the anticipated effects of MiFID II. The ramifications of MiFID II will reverberate through the buy-side over the course of the year, as firms continue to grapple with how they pay for research. 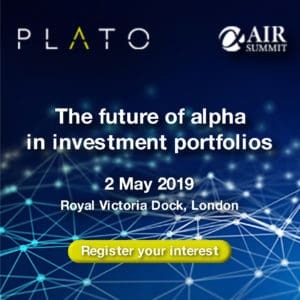 This in turn will likely push more asset managers to pay for research out of their own pockets, allowing trading desks to pursue lower cost venues, ultimately benefiting their end investors. Beyond MiFID, we think overall block volume as a percentage of the market will continue to grow steadily as block trading tools continue to improve. Absent a geopolitical shock, low volatility will contribute to this; if the stock isn’t moving, why not trade big? The optimist in me hopes that finding liquidity will not be an issue and that the LIS and sub-LIS execution venues will operate as predicted. I am fairly confident that after the first few weeks we will know where the liquidity is reverting to and hope that the fragmentation that has been rightly highlighted is not as bad a first thought. Within a couple of months conversation will switch from dark pool caps & liquidity to RTS 27 and RTS 28 and how the available data should be utilised. Then, dare I say it, on to MiFID III discussions. On a lighter note, prices of winter sun holiday will be low in January 2018, so get yourself a bargain if you are brave enough to leave the office during the first weeks of the new regulatory regime! One of the underappreciated changes that MiFID II is ushering in is around EMS/OMS pricing, as brokers will no longer be able to pay transactionally on behalf of their buy-side clients since that will be considered an inducement. OMS’ have historically been very ‘sticky’ once installed for two reasons: first, replacing such a critical piece of software to the investment process is a big lift, and second, since the sell-side incurs many of the hidden costs associated with them, the buy-side might not have always known just how expensive they were. Now that that second factor will be removed, we think we’ll see quite a bit of churn in the space. Clearly MiFID II is causing investors to fundamentally rethink the way in which they consume research and data. A natural extension of this, which we think has begun to occur and will accelerate in 2018 once MiFID has been implemented, is that investors will seek to better understand where their data is coming from and how it is collected in the same way that the organic food movement has resulted in consumers wanting to know more about the origin of and means of delivery for their food. We see this leading to a broader re-evaluation of data strategy and the intermediates that are currently involved, which should ultimately be a very good thing for investors.